VTP Purvanchal: Luxury apartments surrounded by premium features for the A-class life you have always desired! Pune is a fabulous city that has a lot to offer its inhabitants. From amazing education hubs and career opportunities, to incredible nightlife, delicious food, peace and harmony, there is so much to this city that is pretty hard to find elsewhere. It is an undeniable fact that Pune is one of the most loved cities in the country today. 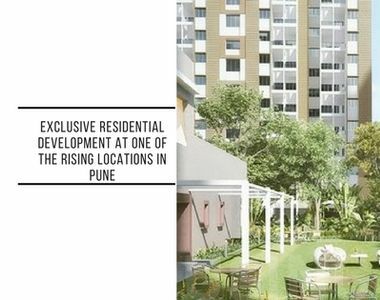 The real estate industry in Pune is booming with a number of residential as well as commercial projects throughout the city and its outskirts as well. VTP Purvanchal is a new residential project in Pune by VTP Group that focuses on the highest level of luxury and comfort for a modern-day lifestyle like no other! Extended over a beautiful land of 11 acres, this residential development consists of remarkable towers that offer 1BHK, 2BHK and 3BHK luxury apartments of different configurations that are crafted to delight! With apartment carpet areas starting at 366 sq. ft. and going up to a whopping 957 sq. ft., experience the comfort of luxury space that will satisfy you and your family each day. VTP Purvanchal Pune is a well-endowed residential development that is packed with world-class internal and external amenities for a life of eternal luxury!The apartments are spaciousand contain modern-day fittings and fixtures, high-quality vitrified flooring, anti-skid ceramic flooring in balconies, elegant kitchens with stainless steel sinks, granite counters and multiple provisions, plush doors, large balconies and windows providing spectacular landscape views of lush greens, hi-tech safety features and the list goes on. This residential development also offers a wide range of external amenities that are will simply blow your mind! This development is where you can relax, unwind and have fun with your family and friends each day. The external amenities at this development include a massive clubhouse, 200 m. jogging track, hi-tech gymnasium, sports facilities, dedicated basketball and tennis court, fancy play-area for your kids, multipurpose hall, theatre, shopping centre, firefighting equipment and power back-up for emergencies, wide open space, landscape garden, acupressure pathway and 3-Tier security with video surveillance in common areas. This development also takes up rain water harvesting and sewage treatment. Located at Wagholi in Pune, VTP Purvanchal Wagholi has a number of your everyday and emergency landmarks in close proximity and offers a life of convenience that will be loved by one and all. Places like schools, colleges, institutes, medical centres, hospitals, banks, ATMs, malls, shopping centres, general stores, supermarkets/hypermarkets, automobile showrooms, restaurants, cinemas, cafes, clubs, pubs, lounges, public transport and a lot more can be accessed within minutes. 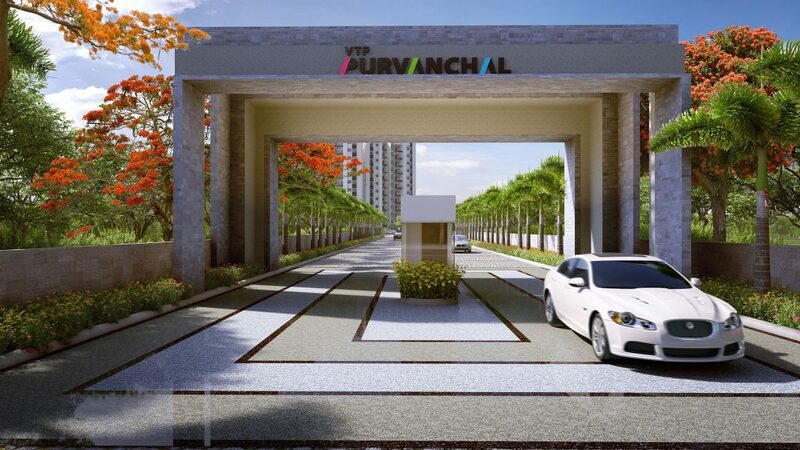 Starting at a price of Rs.24.33 lakhs and moving up to Rs.57.07 lakhs, the VTP Purvanchal price is affordable and definitely worth your savings for a new luxury apartment in Pune. This development is an ideal apartments for investors as well. You can choose from a number of payment plans along with easy home loansat low interest rates, NRI services, customer support and a lot more for a happy buy. Welcome to a world of luxury and comfort uninterrupted! Book your property in Wagholi today and experience premium luxury that will be loved by one and all! VTP Hilife - Another New launched by VTP Realty in Wakad Pune.Coming Soon with 2 BHK And 3 BHK Apartment in Pune. Best investment opportunity in Pune. Get new launch offers now. Tunnel Form Technology – Latest in construction industry for residential, it offers superior quality finish, structural strength and fastest delivery. Special focus on landscape designing through renowned land scape designer. One of the largest industrial areas near Pune, Ranjangaon MIDC. Malls – Phoenix Market City, In Orbit, Seasons, Amanora. Various schools and hospitals in close vicinity.